Can I Recover Deleted Photos from My iPhone? It's in your control to recover permanently / recently deleted photos iPhone even without backup, and you can recover photos from broken iPhone when you have backup. The photos stored in the iPhone, for everyone, that is a way to record life, perhaps for work, perhaps to record life, leaving us a lot of good memories. Many times, we deleted those memories deliberately or inadvertently, but when we calm down, we will be crazy to find those memories which are deleted. If you have the habit of backup your data, you are very lucky. You can restore your photos directly from the backup and retrieve your memories. If you don't have a backup, don't worry, we can help you recover deleted photos from iPhone. Part 1: How to recover deleted photos from iPhone without backup. 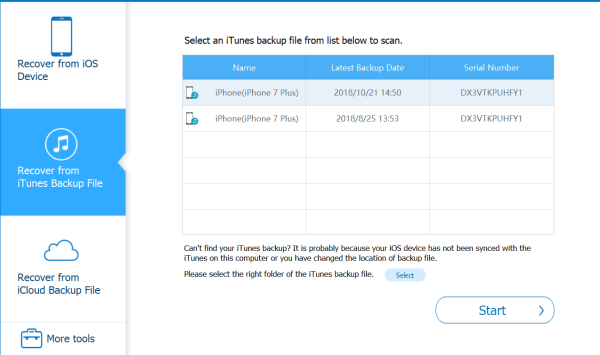 Part 2: How to recover permanently deleted photos from iPhone by iTunes or iCloud directly. Part 3: How to recover photos from iPhone when we have backup. How to recover recently deleted photos from iPhone? Can i recover permanently deleted photos from my iPhone XS / XS Max / XR / X / 8/ 7 / 6s / 6 / 5s / 5c / 4S / 4 without backup? How to recover recently deleted photos on iPhone? Step 1: Open your iPhone,and click “ Photos ”. Step 2: Switch to “ Albums ” from blew. Step 3: Sliding the page until you see “ Recently Deleted ”, point in. Step 4: In the upper right corner, click “ Select ”. Step 5: Select which photos you want “ Recover ”. OK, you have recovered recently deleted photos from iPhone. 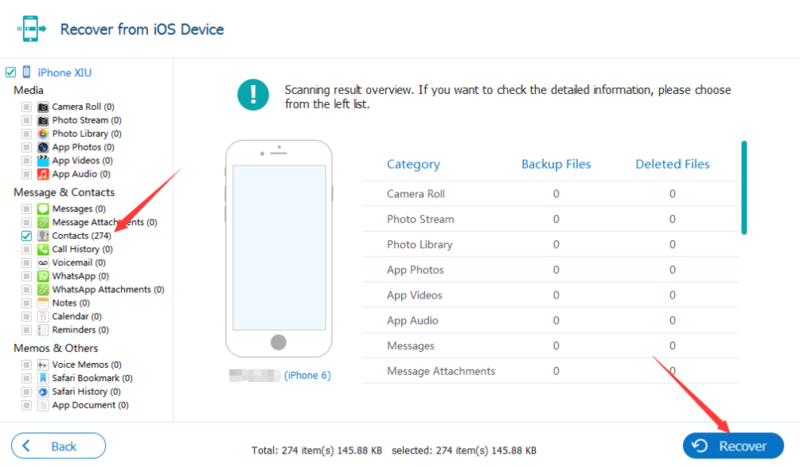 How to recover permanently deleted photos from iPhone without backup? We can use Eelphone iPhone Data Recovery to scan internal storage from where we can recover deleted photos. Step 1: It's time to own Eelphone iPhone Data Recovery, launch it, and press on “ iPhone Data Recovery ”. 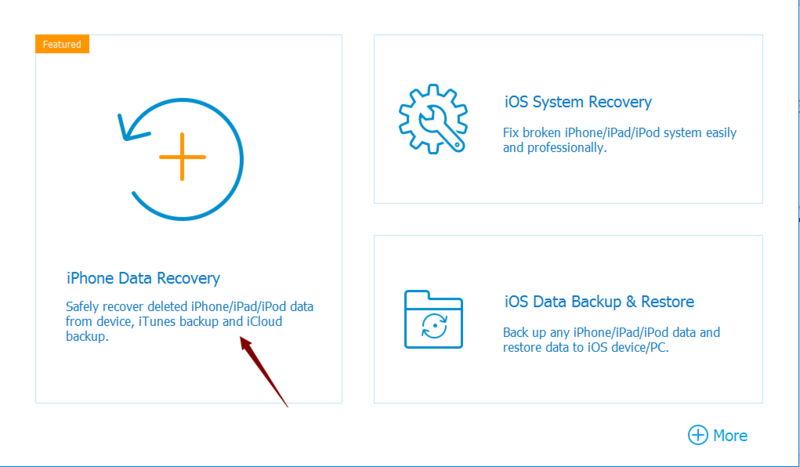 Step 2: There are three ways to recover deleted photos iPhone, since we don't have a backup, we only can recover deleted photos on iPhone by the first way-Recover from iOS Device. Connect your iPhone to computer via USB cable. 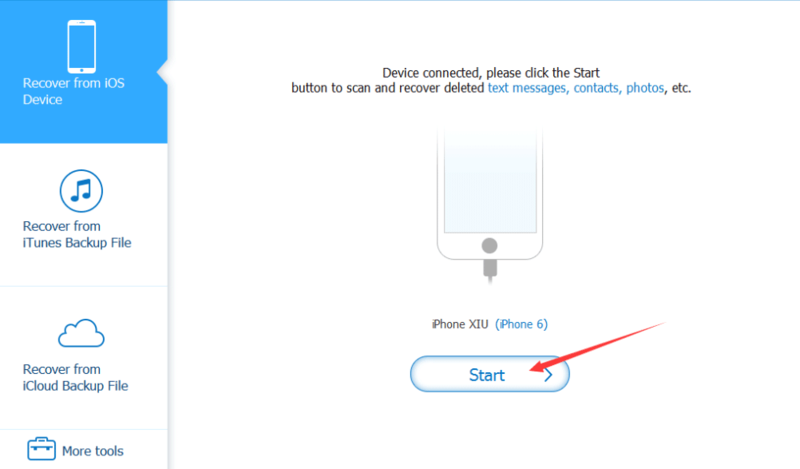 Step 3: iPhone connected, click “ Start ”. 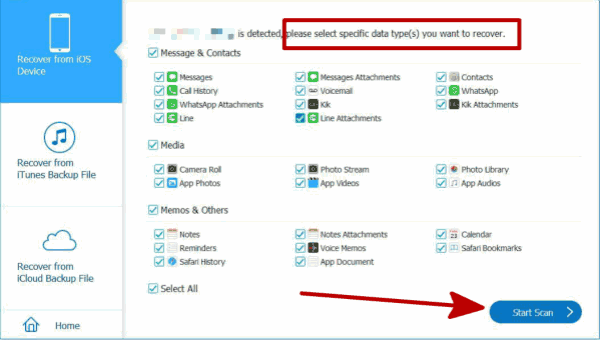 Step 4: Define the type of data you want to recover, so many type of data we can recover contacts / call history / messages / voice memos etc,here you can only select “ Photo Library ”, click “ Scan ” to go on. Step 5: During the process of scan, keep connect to PC. After a while, you can see the scan result from the left, recheck the type of data you want recover, and click “ Recover ” to finish the process of recover deleted photos from iPhone. How to recover deleted photos from iPhone free? How to recover photos from broken iPhone? How to recover photos from a lost iPhone? You can recover deleted photos iPhone from iTunes or iCloud. Step 1: Connect your iPhone to the computer via USB cable and open iTunes. Step 2: Choose your iPhone in iTunes from the upper-left corner. 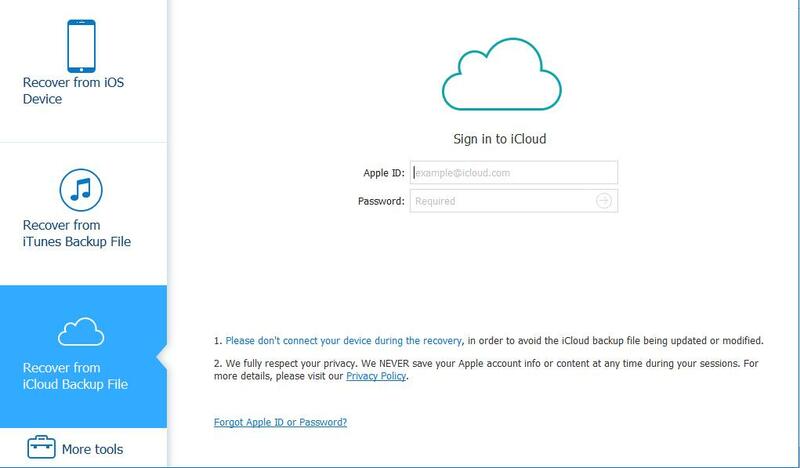 Step 1: Go to iCloud.com and sign in your account. Step 2: Click “ Photos ”. Step 3: Click on “ Albums ” from the top. Step 4: Choose the photos you want to recover. 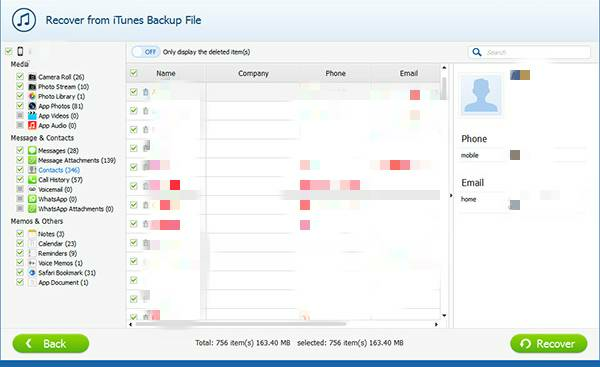 Note: You can only recover the latest data you have backed up in iTunes or iCloud. Can i recover deleted photos from iPhone? How to recover old photos from iPhone? How to recover lost photos on iPhone? Eelphone iPhone Data Recovery can recover deleted photos from your backup only in several click. Let's have look at the process of deleted photos recovery in detail. Step 1: Download Eelphone iPhone Data Recovery, click “ iPhone Data Recovery ”. Step 2: From next page, you can see “ Recover from iTunes Backup File ” and “ Recover from iCloud Backup File ”. 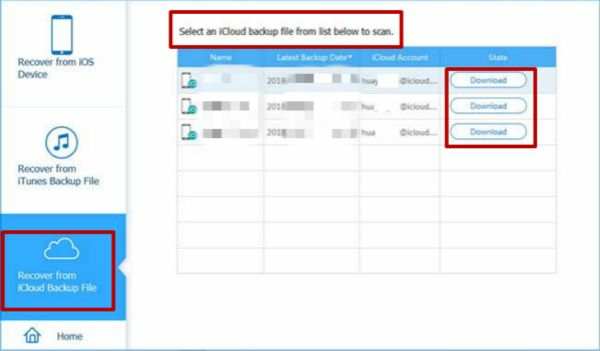 Step 3: If you select recover from iTunes backup files, the iPhone Data Recovery will scan out your iTunes backup files automatically, but if you select recover from iCloud backup file, you should sign in your iCloud account, and then download your iCloud file you want recover. Note: The backup files will appears according to the backup time, you can choose old photos easily.